I recently bought Jacey Boggs’ book Spin Art. I’ve experimented with corespinning and tailspinning in the past, but my attempts at producing beehives have always been a hideous disaster as I was guessing how they were made. The book arrived at about the time Shiela announced her annual spring competition, based around spinning a yarn inspired by a photo. This year’s photo was of some beautiful white and purple crocus flowers. I was really pleased with the beehives and got more daring as the yarn went on. I started with small beehives, but when they managed to make it onto the bobbin without getting caught up in the orifice or the sliding hooks on my Ladybug’s bulky flyer, I kept increasing the size. The big white ones do look alarmingly like whitchetty grubs (or alien brains, thank you SulkyCat…)! 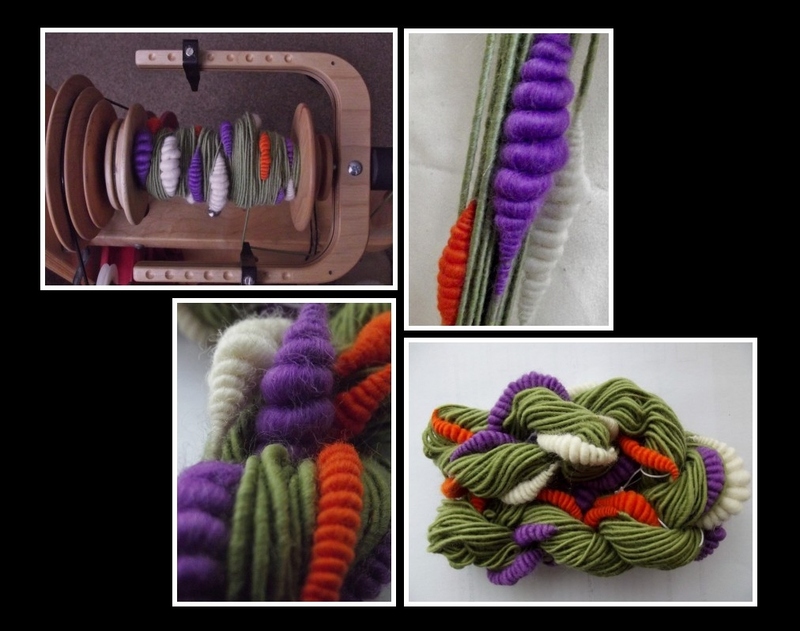 I love the look of some art yarns, but always wonder what people actually make with them. There isn’t a huge amount of this yarn, so I am going to try using it in weaving – I’m thinking of a black bag with this yarn making a stripe across the flap? Well, it has been a little quiet on the blog of late, due to a spell of ill-health. 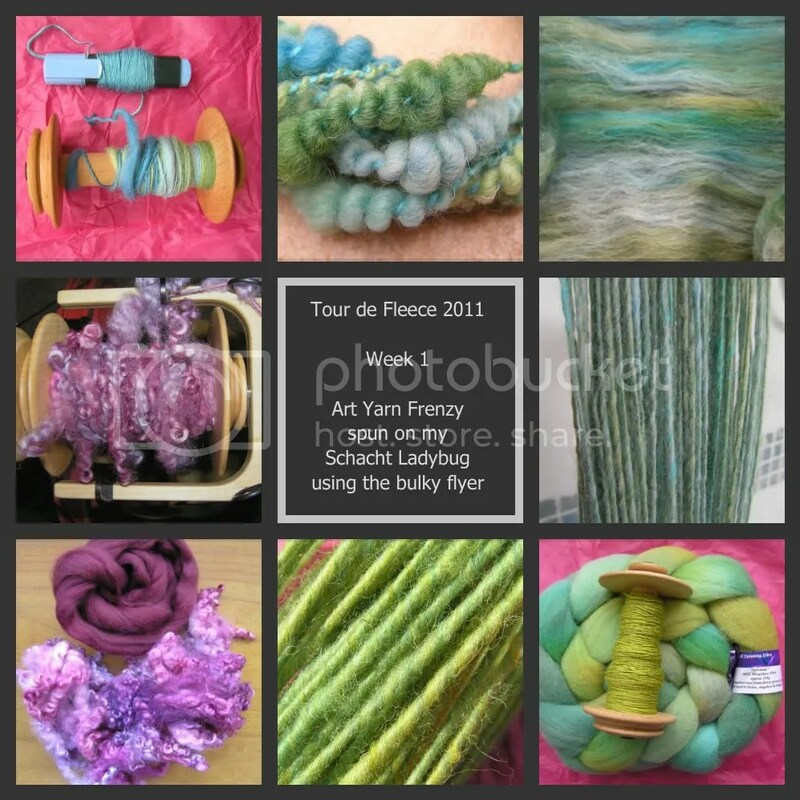 However, I’m on the mend (ish) now and have been busily spinning away this week for the Tour de Fleece. I bought a bulky flyer for my Ladybug recently. I’ll write up a post all about the flyer as it cost an eye-watering amount of money and I could find very little about it before I handed over the money. The first week of the TdF has been spent getting to grips with my new toy and experimenting with art yarn.